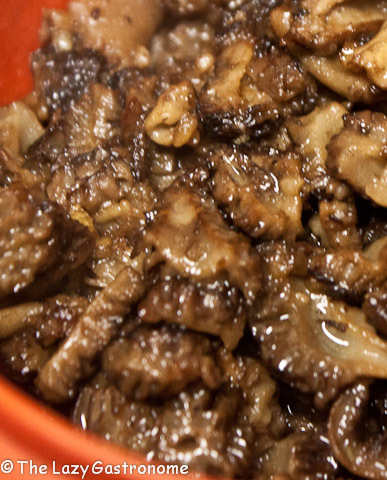 NOTE: To reconstitute dried mushrooms, place them in a ceramic bowl and cover them with HOT water. It will take a few minutes, but they will begin to absorb the moisture and be very similar texture to the fresh ones – although not quite the same. Slice the onion into thick slices. Heat the olive oil in a skillet. 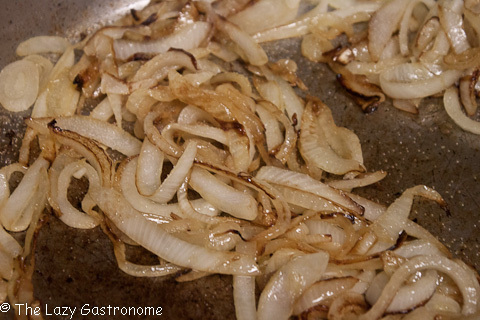 Sauté the onions until they are soft and lightly browned. Remove from the pan and set aside. 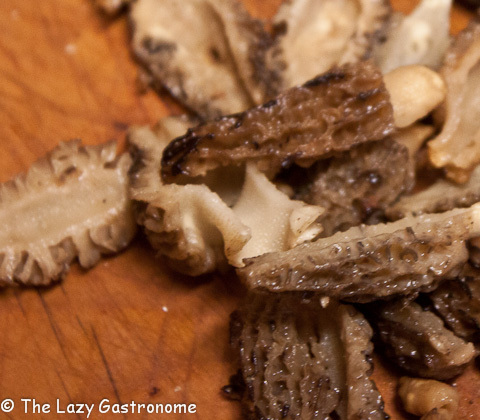 Clean the morels and cut them into small pieces. I usually cut them in half to clean them, making sure I get all the stuff out. Be careful with the tender outside parts though. Melt 1 ½ Tablespoons of butter in the skillet and crush 1 clove of garlic into the hot butter. Cook gently for just a minute or two. 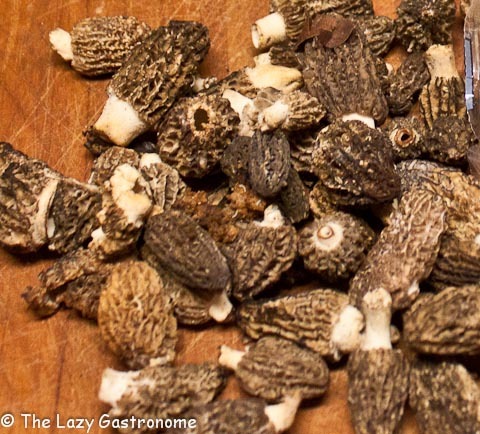 Add the morels. Cook on medium, being careful not to burn the butter, until the mushrooms are browned and cooked through. Remove from the pan and set aside. Meanwhile, whisk the eggs with the water, salt and pepper until they are frothy and well mixed. Add the parsley and whisk again. 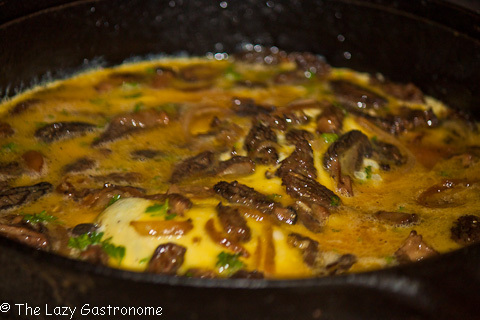 Pour the egg mixture over the mushrooms and onions and cook, covered, on medium until the eggs are set, being careful not to burn the bottom. Cut the eggs into fourths and fold each piece in half. Serve hot with sriracha sauce and home fried potatoes. 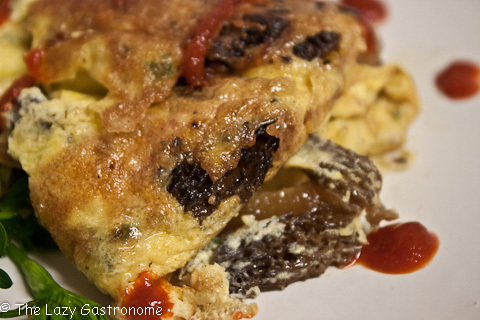 This entry was posted in Breakfast, Brunch and tagged breakfast, eggs, morels, mushrooms, northwest, onions. Bookmark the permalink. Thank you for sharing with us at Bloggers Brags this week. I’m pinning this to our group board on Pinterest. Have a great week! It looks wonderful! I haven’t had morels in a long time! 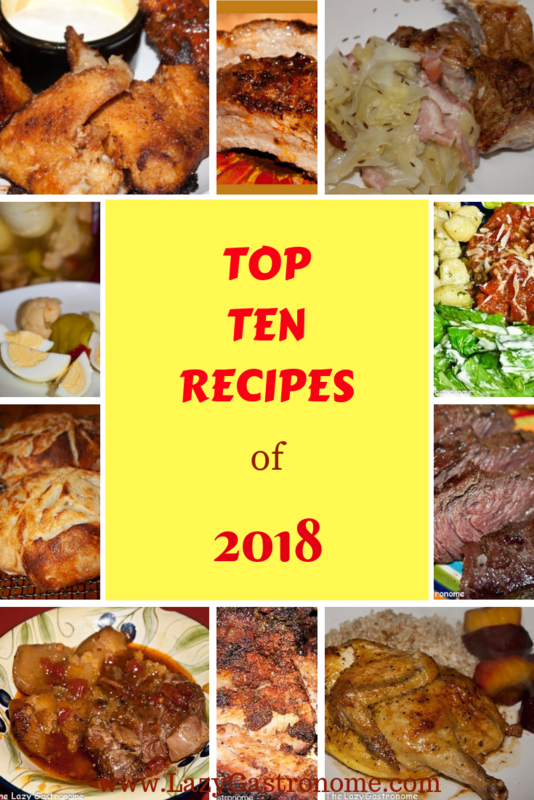 Yummy recipe and thank you for sharing with us at #AnythingGoes Link Up. 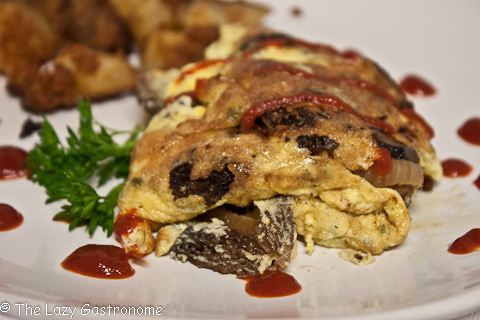 I love Morel mushrooms, this omelet sounds amazing! Pinning and can’t wait to give it a try. This was one of my favorite posts from this week at What’d You Do This Weekend and will be one of my features at tomorrow’s party. I hope you will join us again! Sounds delicious!! Thanks for sharing your recipe with us at From The Archives Friday! !